Hybrid sedans are becoming increasingly popular, and there are more options out there than every before. We know the 2015 Honda Accord Hybrid is a high-quality hybrid, but many Middletown and Mechanicstown drivers have asked how it compares to the 2015 Ford Fusion Hybrid. Let’s find out. Hybrid EX-L: Starting at $32,055,* this trim offers enhanced convenience with a multi-angle rearview camera and a 360-W AM/FM/CD premium audio system. Hybrid Touring: Starting at $35,055,* the Hybrid Touring lives up to its name by making even long drives something to look forward to. 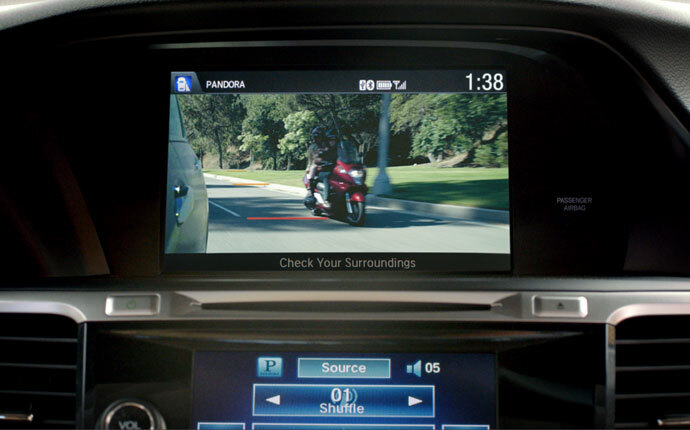 Adaptive cruise control will let you relax, and an integrated navigation system makes for a stress-free journey. S: Starting at $26,085, the S promises dual-zone climate control to deliver you from sweat and chills when you’re stuck in the morning commute. SE: Starting at $26,890, the SE provides a ten-way power driver’s seat for added comfort. Titanium: Starting at $31,840, this model has a Sony audio system with 12 speakers. If you want more, demand more. 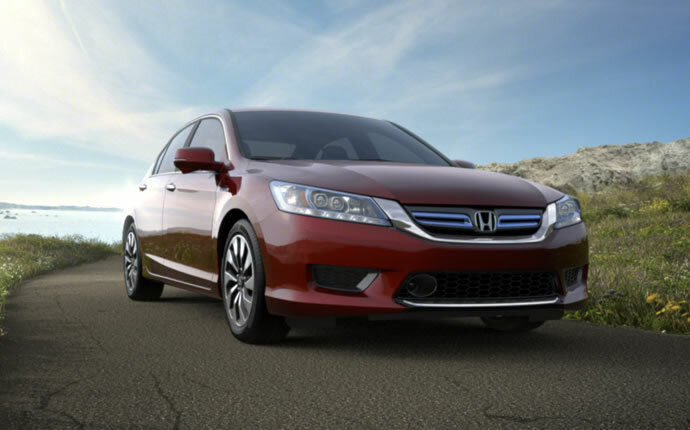 The 2015 Honda Accord Hybrid is for drivers who need a high-quality vehicle with a tremendous array of features. The 2015 Fusion Hybrid draws its power from a 2.0L I-4 Atkinson-cycle engine with a CVT automatic transmission. Mechanicstown drivers can expect 188 hp and mileage ratings of 44 mpg in the city and 41 mpg on the highway. EV Drive: Totally electric, this is used when you slow the vehicle. Hybrid Drive: Uses both engine and motor for an extra push when you hit the gas. Engine Drive: Takes over at highway speeds. The Accord Hybrid and Fusion Hybrid both complement their forward-thinking approach to transportation with a diverse suite of interior features. Sound systems produce crystal-clear music, front bucket seats provide comfort, and each vehicle is extremely spacious. However, the Fusion often expects you to pay exorbitant amounts for its additional features, some of which come standard on the Accord. For example, The SE and Titanium are supposed to be upgraded trims, but a power moon roof — which comes with the Accord Hybrid’s EX-L and Touring trims — will cost you extra. Both models boast the level of safety and security features you’d rightly expect from cars of this value, but Honda has gone further. In fact, the very structure of the vehicle prioritizes safety. The latest-generation Advanced Compatibility Engineering body structure offers intuitive and adaptive crash protection, directing impact force away from passengers in the event of a collision and providing you with the knowledge that Honda has made the effort to keep you and your family safe. It might be this technology that gave the Accord Hybrid an edge over the Fusion Hybrid when the two were crash-tested by the NHTSA — the Honda was given five stars in both the side-impact and rollover trials, while the Fusion Hybrid scored just four on each. Unlike the 2015 Ford Fusion Hybrid, the 2015 Honda Accord Hybrid doesn’t sacrifice power, efficiency, comfort, or safety. Instead, the team at Honda has made a hybrid vehicle that delivers high performance in every area. For more information about this industry-leading vehicle, Mechanicstown-area drivers should contact Middletown Honda today. ** 50 city/45 highway/47 combined mpg rating. Based on 2015 EPA mileage ratings. Use for comparison purposes only. Your mileage will vary depending on driving conditions, how you drive and maintain your vehicle, battery-pack age/condition, and other factors.